Here at the Lewy Body Society, we get a lot of calls from and other bodies who are conducting research into dementia. As a charity, funding and supporting research is our main priority, as we know that dementia research is not as advanced as for other common health conditions. It would be wonderful to eventually find a cure for Lewy body dementia, but it is also important that researchers look at better ways to care for people who are currently living with the disease. The studies that we are currently funding through our grants programme are looking at better ways to diagnose Lewy body dementia, and at whether any new treatments might be effective in tackling its symptoms. Sometimes when we are contacted by researchers, they are looking for quite specific types of volunteers, for example in a particular part of the country. Some studies find it hard to recruit, as they need people in whom the disease isn’t too advanced. This is why we work closely with Join Dementia Research, and promote it at every opportunity. 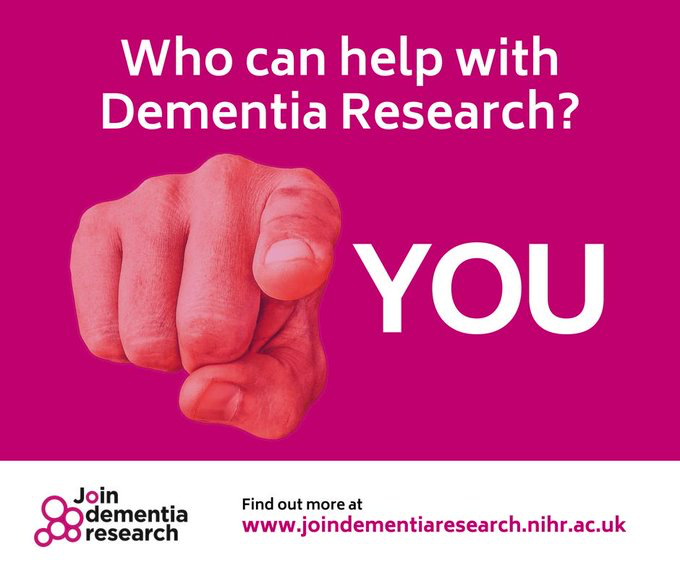 Join Dementia Research is a partnership between the National Institute for Health Research (NIHR) and several charities. It aims to match people who are interested in participating in research with researchers looking for volunteers. It’s a simple idea, and it works, as it has already matched nearly 12,000 volunteers with 253 NHS, university and commercial research organisations. You just need to submit a few personal details, and the scheme will match you with any trials that might be suitable in future. There are lots of different types of studies that recruit volunteers through JDR, and crucially they want everyone to sign up, whether or not you are currently living with dementia. Please help and sign up today.